"Which is the safest seat on an airplane? Where is the best place to have a heart attack? Why does religious observance add years to your life? How can birthdays be hazardous to your health? " 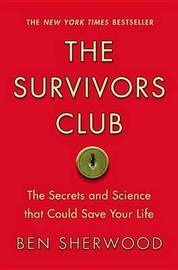 THE SURVIVORS CLUB Each second of the day, someone in America faces a crisis, whether it's a car accident, violent crime, serious illness, or financial trouble. Given the inevitability of adversity, we all wonder: Who beats the odds and who surrenders? Why do some people bound back and others give up? How can I become the kind of person who survives and thrives? The fascinating, hopeful answers to these questions are found in THE SURVIVORS CLUB. 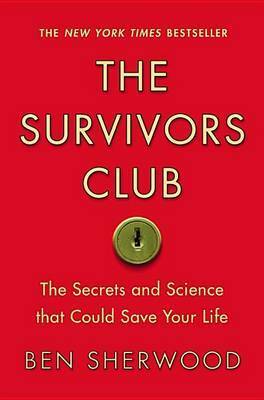 In the tradition of Freakonomics and The Tipping Point, this book reveals the hidden side of survival by combining astonishing true stories, gripping scientific research, and the author's adventures inside the U.S. military's elite survival schools and the government's airplane crash evacuation course. With THE SURVIVORS CLUB, you can also discover your own Survivor IQ through a powerful Internet-based test called the Survivor Profiler. Developed exclusively for this book, the test analyzes your personality and generates a customized report on your top survivor strengths. There is no escaping life's inevitable struggles. But THE SURVIVORS CLUB can give you an edge when adversity strikes. Ben Sherwood is a bestselling author, an award-winning journalist, and the president of ABC News. His novel The Man Who Ate the 747 has been published in 13 languages, and his other novel, The Death and Life of Charlie St. Cloud, was made into a feature film starring Zac Efron. A former broadcast producer for NBC Nightly News, he joined Good Morning America in April 2004 as executive producer and stayed in that position until Fall 06. He lives with his wife and sons in New York City.